Holiday Party 2017 this Thursday! Our 2017 Holiday Party is fast approaching!! A non-alcoholic Beverage or Dessert. 2018 Membership payment if you have not already submitted. Please note that Membership renewals should be done by the end of this week. You must fill out the renewal form on line and then submit payment by PayPal or check. Also, we will not have the guild library with us. In addition to our annual Elfster swap we have a special treat! NJMQG co-founder Rayna Gillman will talk about her latest book, Create Your Own Improv Quilts/Modern Quilting With No Rules & No Rulers. You may order autographed copies here. Thank you for the lovely and amusing recap, A! 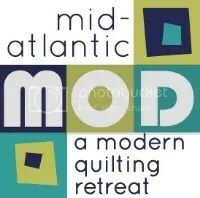 Just one tweak, I met Rayna because of Simply Quilts, not on Simply Quilts.